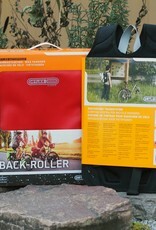 The Pannier Carrying System quickly converts your Ortlieb bike pannier into a backpack. 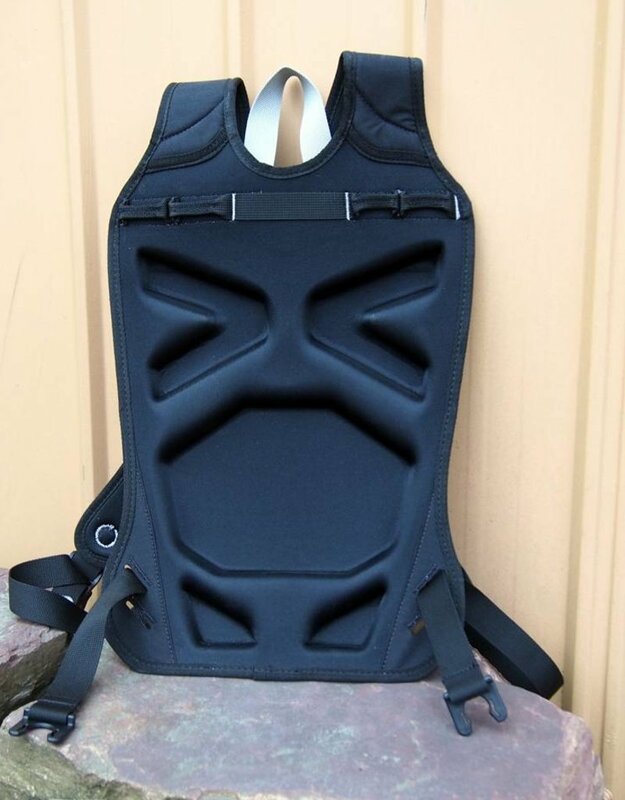 The thermally molded foam back pad along with padded adjustable shoulder straps and chest strap guarantee a comfortable carry with excellent ventilation. 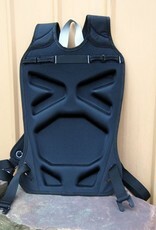 Light weight (310 g /11 oz. 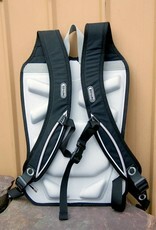 ), the carrying system can be easily fixed onto the pannier when not in use. 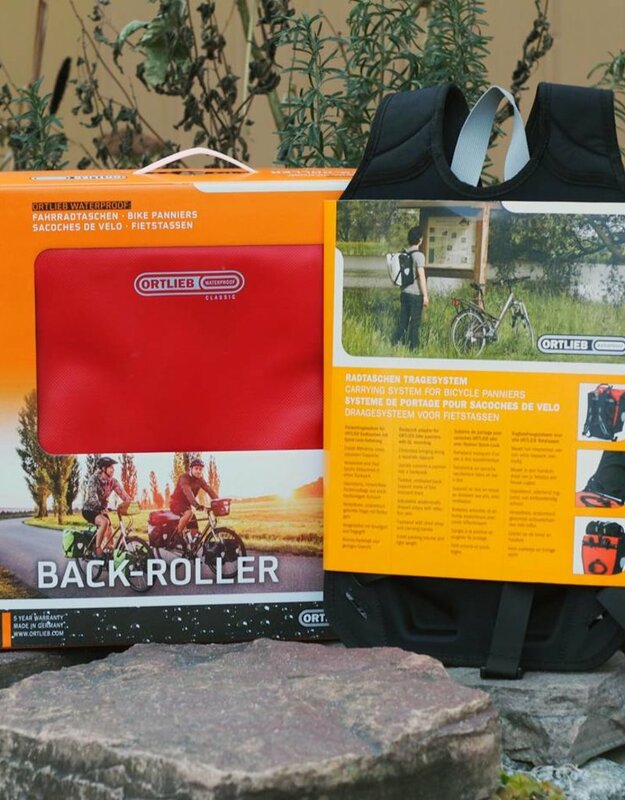 It’s suitable for Ortlieb Sport- and Back-Rollers (from year 1995 on), Bike-Packer (from year 1996 on), Sport-Packers, Bike-Tourers and Bike-Shoppers. 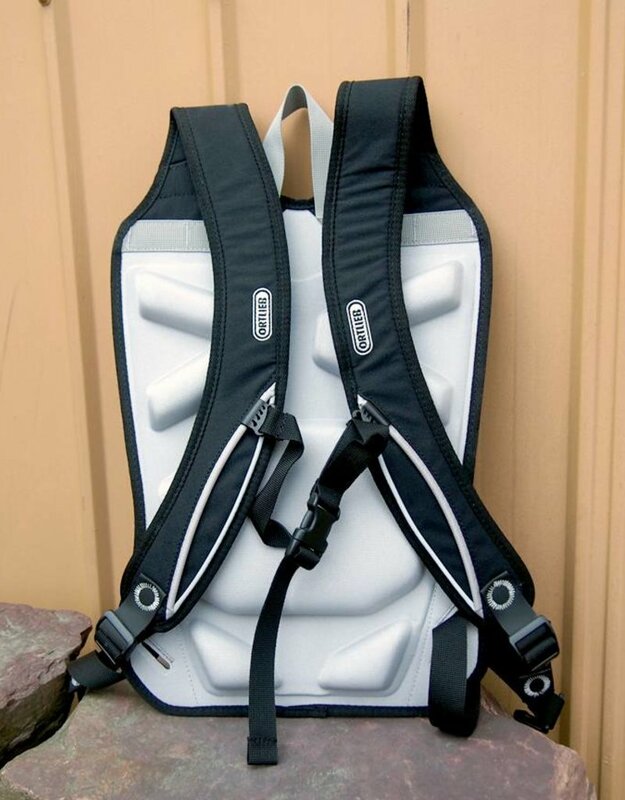 To fix the pannier onto the carrying system, its top loops are hooked into the pannier’s QL hooks, and the buckles are threaded into the base edge protectors.